We are a unique travel service specializing in small and very personalized individual and group travel to Italy. Let us assist you with planning your trip to Italy. Whether you are about to embark on your first adventure or plan to return to see more of this magical country, let Italy by Design‘s Trip Planning Services work with you to develop an itinerary that meets your needs. A well planned itinerary saves you valuable time and euro. Personalized Trip Planning Services: Perfect for those who value personal service and for busy people who have difficulty finding the time to arrange the details on their own trip. ​AND, FOR THOSE OF YOU MORE INTERESTED IN FULLY ESCORTED TRAVEL . . .
Italy by Design has spent years researching and developing an Escorted Small Group Travel Service for small groups who prefer personalized attention to what they wish to experience on their Italian holiday. Our clients secure their own flight arrangements as we feel they are best suited to determine their own schedules and transportation costs. Of course, we are there to assist you if necessary. All you have to do is pack! What could be easier? Join us today for the journey of a lifetime and let us do the work! Traveling on your own? . . . see our Personalized Trip Planning Services. Enjoy small group travel? . . . see our Escorted Small Group Travel. Cruising to Italy? . 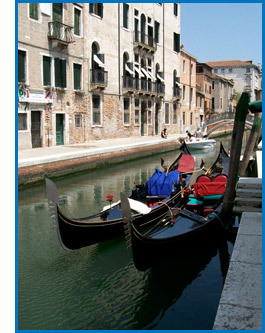 . . see our Personalized Shore Excursions. Want to learn more about traveling in Italy? . . . see our Travel Seminars or sign up for our Travel Newsletter. Looking for tips on traveling in and around Italy? ...see our Travel Tips.